When and where disaster would strike may be somewhat predictable by forecasts, but how bad and to what extent it would destroy any specific place is something that’s beyond human understanding. Once the disaster strikes, you and your loved ones are left devastated. It could be a flood, forest fire, or something that could have been initiated due to our carelessness in the kitchen or when dealing with combustible substances. Regardless of what causes the destruction, when a fire breaks out, peace is a factor that takes its exit for days. We know that you’re broken and can’t comprehend a lot of things, but now is the time to act fast. The 48 hours after a fire breakout is referred to as the golden hours, because within this period, most of the healing and restoration of property can be done. 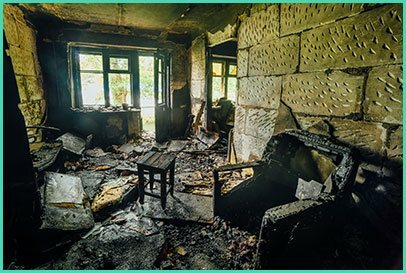 In order to restore your property post fire breakout in the West Palm Beach, FL area, all you need to do is call West Palm Beach Restoration Company! We all have got the fire service’s number stored on our phones and mind you, they can only put out the fire. What about fixing the remnants, and restoring the home that was so precious to you? The stench of smoke, and soot would remain, and chemical residue would end up filling the air- all this would do massive damage to your property and cause severe health hazards. For this reason, store our number on your phone and ring us up to get immediate restoration and cleanup services. Fire breakouts are not something that happens often to one person alone. It might be the first time you’re witnessing it, and that leaves you with no experience or no equipment to fix and restore the property. You can do it all perfectly if you possess the right experience, knowhow, and equipment that would assist you. If not for these, you’d end up in a ball game of toxicity that would cause severe damage to your health and property. When you seek help from professionals, you’re taking the help of people who know the deal and who have the right equipment and material to restore the property to the best extent. 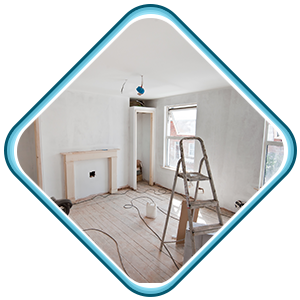 West Palm Beach Restoration Company has the finest professionals who offer excellent fire/water damage restoration services in the West Palm Beach, FL area. We have got cutting-edge tools, and the best team who know just what they’re doing to fix damages that seemed beyond repair to you. Right from assessing damage, restoring the property to reconstructing certain portions of the place, our team is available for 24/7 to do it all. Care for your possessions: We don’t believe in throwing away all that has been afflicted by fire; rather we try our best to restore each one of your possessions. Work with your insurance company: Fire breakouts are never easy on the pocket, which is why we care for you, and work closely with your insurance company to recover the damage costs. High-tech equipment: Gone are the days when manual hammering was the only option to fix everything. We use our damage restoration equipment to provide the right fix. From deodorizers to air blowers, we’ve the finest of it all. Did a fire breakout to wreck the property? Then get the help of our experts by calling us on 561-404-8238 for immediate help.